Decided to share this blog again. It was one of my most popular blogs! I find so many who are walking around in so much pain. I know how that feels. Sometimes when the pain resurfaces in our lives, fear cripples us and we can’t seem to move on. I pray this old post will help you see how you can keep moving on in the grace of God. We will always have the scars but we can’t live our lives crippled by the fear of our past. Enjoy this post. Today as I began to run, I suddenly felt my foot begin to ache. The pain was so intense that I stopped running and began to walk. Immediately I knew what the pain was from. About three years ago I was preparing to run in a half marathon with a group from my church. I had never run before so I was following the training schedule and training with a friend. One night I overdid it, I ran too much, too fast. The next morning my foot was in severe pain, I could hardly walk on it. After a week or so I went to the doctor and found out I had a stress fracture. I had to follow the doctor’s orders and stop running or walking until my foot was healed. That was three years ago, yet there are still days when out of the blue my foot will begin to hurt. The injury from the past will resurface and when that happens I know there are steps I have to follow so I won’t reinjure my foot. 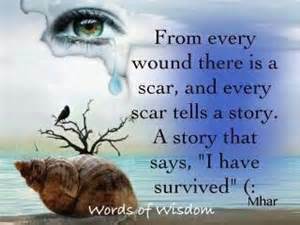 In life sometimes we go through traumatic experiences that cause very deep emotional pain. We take the steps that lead us to healing, yet often something will trigger our pain and the old wounds will begin to rise to the surface. No matter how long you have been in the healing process and how strong you are, there are just times when we remember the experience and we begin to feel the hurt all over again. So what do we do when pain from the past begins to resurface in our lives? These are the steps that I follow. Now, I am by no means a licensed professional counselor or therapist, but I am speaking from where I have been and what helps me. 1. Pray! When I begin to feel these feelings rising, I begin to cry out to God. It doesn’t matter where you are, you can pray. God desires for us to tell Him exactly how we are feeling. He already knows, yet He wants us to have such a deep friendship with Him that we come to Him first with our every need. So even if I am in conversation and thoughts arise, I begin in my mind to talk to God. When I am at home, I get on my knees and cry to Him and tell Him just what I am feeling. There is great comfort sitting at the feet of Jesus! Do you know how many times in the Psalms it tells us of David talking to God about His pain? Numerous times. Yet every time He would come into the presence of God and talk to God; once again He would gain a whole new perspective to life. So pour out your heart to God and let Him comfort you and bring peace once again to your weary soul. Psalm 18:6 In my distress I called upon the Lord, and cried out to my God; He heard my voice from His temple, and my cry came before Him, even to His ears. The old saying, prayer changes things and it changes me, is a very true statement. You will find God when you get on your knees and talk to Him. He is your dearest friend. 2.Post His Word all around! Get in the Word of God and let it bring joy to your heart. Get your pen and your index cards out and write these verses down. I place them in all the areas that I am the most in my home. They are constant reminders to me that His Word needs to be hidden in my heart so when my heart is heavy I can quote these scriptures and immediately feel His presence come over me. In my bathroom I have Philippians 4:8, Finally,brothers, whatever is true, whatever is noble, whatever is right, whatever is pure, whatever is lovely, whatever is admirable- if anything is excellent or praiseworthy- think about such things. This brings my mind to think on what is true today. I can leave the past in the past and when the pain comes at times as it does, I can know that it can’t hurt me now, I am choosing to think on God’s Word and not the pain itself. So get in His Word and place it before you daily. Memorize verses that encourage you when you are weary. Then when the old wound begins to resurface you can quote these verses and begin to feel God comfort you through His Word. 3.Praise Him! There are so many wonderful songs out right now that talk of Praising Him through the storm, or being an Overcomer! So put on your praise! I love music. It speaks to my heart sometimes more than words could. There are days when I get my old church hymnal out and sit down at the piano and play through the songs that bring comfort and healing to my heart. I need Thee, Oh I need Thee, every hour I need Thee, Oh bless me now my Savior, I come to Thee. Isn’t that wonderful? You will feel your pain began to flee when you praise Him. I find great joy in praising Him even when I don’t feel like. Praise Him anyway! Psalm 71:23 My lips shall greatly rejoice when I sing to You..so put on some music and let it once again bring healing to your heart. There are so many verses to remind us how He longs for us to praise Him. It brings great joy to Christ to hear us praising Him and at the same time it brings joy to our hearts to praise Him. It’s a win, win every time! So find you a praise cd or turn on your radio, but determine to praise Him to get through the pain of the past. 4.Pour Yourself into others! When my heart becomes heavy from the reminders of my past hurts, I sometimes stay at home and have a little pity party all on my own. Sometimes it does our heart good to just sit and cry. For me though, if I stay there I sink further down. So I love to think about the apostle Paul. He poured himself into others. He found people to minister to. 2 Corinthians 1:4 Blessed be the God and father of our Lord Jesus Christ.. who comforts us in all our tribulation, that we may be able to comfort those who are in any trouble, with the comfort with which we ourselves are comforted by God. Paul mentioned trials and afflictions 9 times in this letter. He learned to derive benefit from each trial. I love it! Our pain is never in vain my friends. We get to use our painful experiences to comfort others. I can pray with someone and tell them, I know just how you feel; I have been there before too. When we pour ourselves into others we are looking outward and not inward, not focused on our pain. So to get past the hurts that resurface you must pour yourself into others. 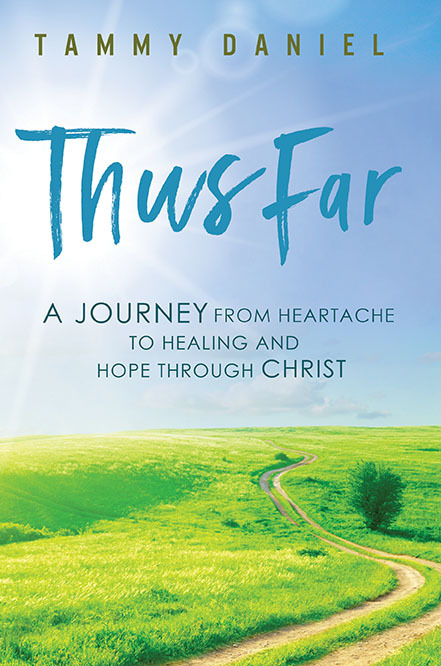 No matter how far down the road you are in your healing from trauma in your life, there are just those days when the pain is going to show up. When it does, follow these steps to get through those painful days. I promise it will get easier. Sometimes memories of the past are easily triggered. We just have to know how to deal with them. God has already given you victory, your battle is won, so smile knowing this truth. Today if you are feeling the pain resurfacing from the past; pray, post His Word all around you, praise Him, and pour yourself into others! 2 Corinthians 4:8-9 We are pressed on every side by troubles, but not crushed and broken. We are perplexed because we don’t know why things happen as they do, but we don’t give up and quit. We are hunted down, but God never abandons us. We get knocked down, but we get up again and keep going. I enjoyed your blog. Thanks for sharing It. Reblogged this on Thus Far Ministries. If You Understand The Pain, You Would Understand My Praise | LSW Ministries "No One Left Behind"